David is a junior from Steamboat Springs, Colorado currently working as U.S. Senator Michael Bennett's intern. He is pursuing a double degree in political science and business, with a certificate in Global Business. On campus, David has exemplified leadership as a member of the Leeds Scholars Program, and executive chairman of Sigma Nu Fraternity. David has experience working with national legislators and is passionate about using this experience to postively affect his local community. After graduation he plans on attending Yale Law School and hopes to continue working closely with the Global Down Syndrome Foundation, for whom he has helped raise millions of dollars. Olivia is a sophomore from Olympia, Washington pursuing a double major in International Affairs and Spanish, a minor in Political Science, and a certificate in Peace and Security Studies. She is also a part of the Honors Program, has volunteered by teaching English as a Second Language (ESL) to CU Housing and Dining Services staff through SWAP, and represents CU through the Student Ambassador Program. Olivia is most passionate about promoting service on campus as a means for creating a more involved, engaged, and passionate community on the CU Boulder campus. After graduating Olivia plans on taking a year to backpack through South America and teach English in Spain before attending Graduate School at Georgetown's School of Foreign Service. Jake is a sophomore from Boulder, Colorado pursuing a triple major in Spanish, Political Science, and Philosophy. He has worked for the Colorado State House of Representatives and is an active volunteer in the Boulder community, most notably as a Spanish-English language interpreter for the Emergency Family Assistance Association. Jake’s desire to run for CU Student Government is rooted in a desire to serve and improve the lives of his fellow students. 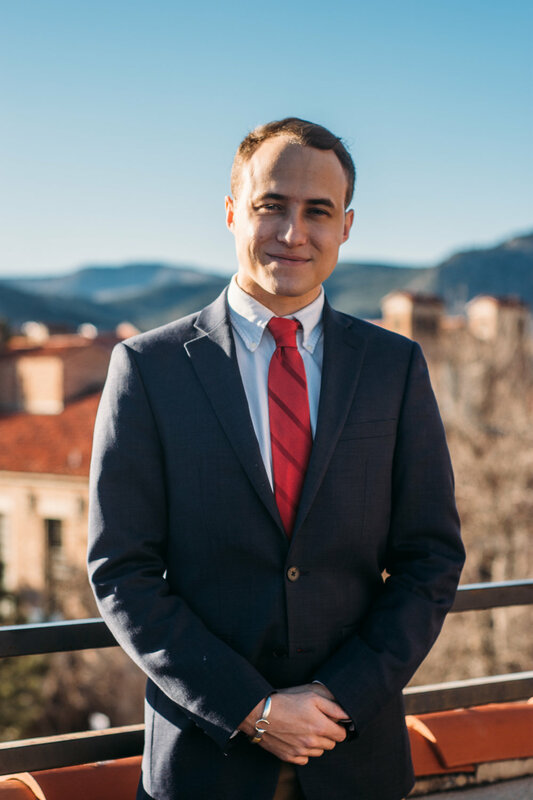 Jake is most passionate about advocating for safety and his principle goal for CUSG is to make CU Boulder a more safe, secure, and prepared campus.